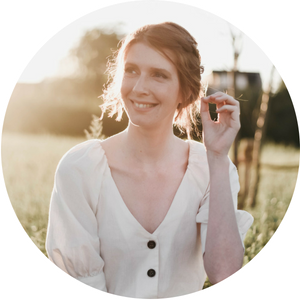 Go Chic or Go Home is an amazing photo-sharing community that offers everything you need to make the most of your daily wardrobe and style: your closet, inspiration, friends, and shopping. 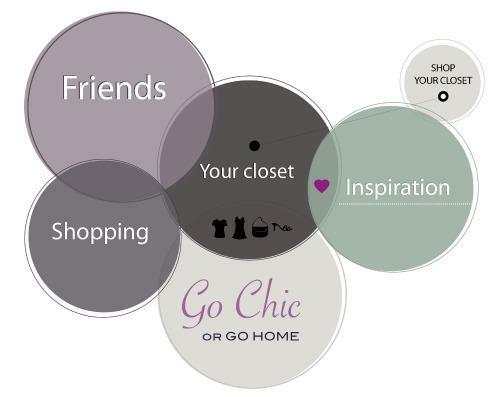 What I love the most about Go Chic or Go Home is that it’s a great way to discover new blogs. You can often find me browsing the Explore page looking for inspiration and ofcourse I often upload my own outfits too. Secondly, their Create page comes in really handy when you want to plan your outfits for the next week or so. I use it all.the. time! Today Cynthia and her team offer one lucky reader a £50 gift card to one of the retailers from the Go Chic or Go Home shop section. My personal favorites are J.Crew and Gap but there are many more! 2. If you already have an account you, ofcourse, can enter too! Just make sure your account is active during the giveaway period. 3. Tell me in your comment about the Go Chic or Go Home community. What do you think? I’d love to hear! This giveaway is open to international readers! Giveaway closes on april 23rd. Winner will be announced on the 24th! May the Odds be evah in your favor! I think this is a great idea! I joined and followed you 🙂 Uploading pictures will take a lot of time so I just might keep that for the holidays! I love GCOGH, and I'm already a member! I've found the site to be a lot more "real" than other sites like Lookbook – less crazy high-end fashion, more cute, normal everyday wear. I've been looking for a site like this for ages– a place to organize my closet and get inspiration from other users. Love it. I'm a member of GCOGH and I love it! I especially lvoe their idea of uploading photos of your closet items and being able to make outfits online. I haven't got around to uploading those photos yet, but I'm excited to do it soon! I am so in love with GCOGH – I love that you don't have to be a fashion blogger to fit in and engage with people in the community there (and maybe even feel stylish! seriously – GCOGH are so sweet!) Also – I love that I no longer have the lonely top that gets lost in the back of my closet and never gets worn because it's all organized online! I love GCOGH. I always find inspiration there ! Already a member of GCOGH! I love the community and have found some of my fave blogs through the site. It's pretty darn fun! I haven't gotten time lately with my 16-hour work days, but can't wait to get more involved. Love your new blog layout, by the way, it's lvoely! What a fabulous concept. I am a member, looking forward to exploring the site more. I love the GCOGH platform; it's such a great way to get inspiration, especially when I can't be bothered to figure out my outfit on my own! hi! I recently became a member of the Go Chic Or Go Home community, and I think it's a great way to organize clothing from both your wardrobe and online. Plus it's super fun and easy to mix and match your outfits! Thanks for hosting this awesome giveaway, good luck everyone! Wow I had never heard of GCOGH before but I think it's a great idea! As someone who owns a lot (some would say too many, but meh to them!) of clothes, the idea of this excites me a lot! It is such a fun site! I love the idea of it. en ik vind het tof wegens diversiteit en uhm cookies?! This is a pretty cool concept, I like how it brings in a lot of different aspects of online communities into one area…if I find the time to actually photograph all my clothes, I think I would spend way too much time playing around making outfits! I also like that you can see how an item will look with the rest of your clothes before purchasing. GCOGH seems really fun! I just registered and am excited to try it out!